The company announced on Wednesday that it is testing out a compostable cup in five locations — New York, San Francisco, Seattle, Vancouver and London. Starbucks showed one of the cups being tested during its annual shareholder meeting on Wednesday. The new cup looks just like Starbucks’ current paper cup. The difference is inside, where instead of a plastic liner, a biodegradable liner serves as a barrier to make sure liquid doesn’t leak out. That liner, developed by a Thailand-based company, makes the cup compostable in commercial composting facilities, which are rare. Most recently, in 2018, Starbucks committed to the NextGen Cup Challenge. Along with other food companies, Starbucks and Closed Loop Partners, a recycling-focused investor group, crowdsourced solutions for greener cups from the public. In February, the company announced 12 winners, including greener cup liners, barriers and cups themselves. Now, Starbucks is ready to start testing out some of those winning ideas. 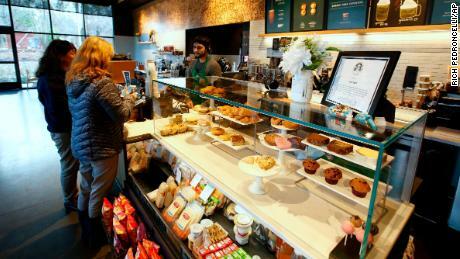 Technically, Starbucks’ paper cups can be recycled — but in practice, they usually are not. Most facilities don’t recycle paper cups because to do so, they would have to separate the cups’ plastic lining from the paper. Many recyclers find that process to be more trouble than it’s worth. If those facilities try to recycle paper cups without separating out materials first, the plastic lining can jam up their machines. The cities where Starbucks is testing out its compostable cups are already set up to recycle paper cups with plastic linings, including the traditional Starbucks cup. In order for the plan to work, Starbucks customers will have to dispose of the cups in recycling bins in the test markets. Environmental advocates point out that’s a major challenge because it requires the company to change customer behavior. Melges said that Starbucks should also invest more in reusable cups. Although the company offers a small discount to customers who bring their own mugs, that effort has failed to gain traction. As of spring 2017, only 1.4% of Starbucks’ beverages were sold in reusable cups. Some of the NextGen Cup winners included reusable cup systems, and Starbucks said it is working to see if any of those proposals are feasible. On Wednesday, the company also shared that it will roll out recyclable, strawless lids to all stores in the United States and Canada over the next year. The lids are made with 9% less plastic than the current lid and straws, Starbucks said. The coffee company first announced strawless lids over the summer as a way to help it phase out plastic straws, which were the target of consumer backlash. Overall, Starbucks still has a long way to go before the company will be satisfied in its quest to develop a greener cup. 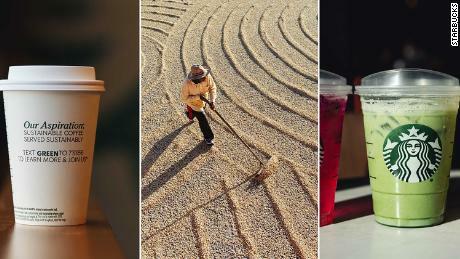 “We have a lot of work to do on understanding these cup technologies, how they scale, how they work in the cup manufacturing environment, and then of course how they flow through the waste management infrastructures,” said Rebecca Zimmer, Starbucks’ global director of environment. Watertown Daily Times | Where does your recycling go?